Reactive Summit Party with "The Spazmatics"
In IT, we love to praise the latest, but is it always the greatest? How can we tell? The speaker is a physicist, Professor of Computer Science, author and founder of CFEngine, and has spent 20 years understanding how systems can be described and managed. Promise theory offers a simple impartial perspective by which to discuss human-computer systems. In this talk, he will give a lightening tour of how to understand systems from micro, and mezo, to macro scales -- and what this has to say about the latest wave of interest in microservices. - How we ran large volume, CPU intensive data transformations by adapting to available processing headroom without affecting the live load on MySQL. How Akka Streams simplified our implementation of high throughput data flow and processing - with optimized CPU and memory usage. We will also touch on some challenges we faced with Akka Streams. - Akka Streams don’t cross JVM process boundaries. So, how did we solve this challenge in a distributed environment? - Finally, we’ll look at some performance numbers on our approach. You will walk away with implementation ideas and performance numbers to help them design large scale data processing/transformation projects based on Akka streams. This talk discusses techniques for achieving optimized performance, availability, cost or other attributes of a distributed system. Firstly, the presentation introduces and in depth explains optimization techniques used in state of the art large scale stream and fast data processing frameworks such as Akka Streams, Spark or Flink, including logical and physical optimizations or code generation. Consequently, powerful optimization concepts applicable to general distributed systems, including systems built using Akka, are explained on examples. Finally, the presentation highlights the role of machine learning and artificial intelligence in the area and explains how machine generated data such as logs and metrics can be used to model, minimize, maximize or find the perfect balance of selected attributes of the system, demonstrated on examples from practice. The attendees will gain an understanding of the available optimization approaches, tradeoffs and the value of machine learning and intelligence and ultimately will be able to apply some of the techniques to optimize general distributed systems as well as streaming data processing systems built using Spark, Flink or Akka Streams. In 2014 Amazon Web Services announced AWS Lambda: a service which lets you run code without provisioning or managing servers. This game-changing announcement started the "serverless" architecture movement, which has seen an explosion of interest ever since. AWS Lambda, in combination with other AWS technologies, allows you to create scalable backend systems without having to provision or manage host instances. In this talk, Amazon Senior Software Developer James Hood will go into detail on how to implement serverless microservices that follow the principles and patterns from Jonas Bonér's Reactive Microservices Architecture using AWS services such as AWS Lambda, Amazon API Gateway, Amazon DynamoDB and Amazon Kinesis. He will also cover advanced tuning for scale as well as common pitfalls when running these services in production. - Leveraging Kafka's distributed commit log for message persistence and event sourcing. Pravega is a next generation implementation of Log Storage which extends the existing models and adds features such as fully elastic and automatic scaling, ability to support millions of logs simultaneously, ordering and delivery guarantees in the face of node and network failures, and a fully integrated storage tiering model allowing for extensive history storage and replay without compromising performance. The unique features of Pravega make it eminently suited as a base for highly available, reliable, and fast microservices. Using the core capabilities of Pravega, microservice developers are free to focus on the specific challenges of their application, using Pravega to guarantee exactly once event processing, fast checkpointing and restart capabilities, automatic scaling in response to real time service demand changes, and high-performance event processing. This talk will explain the background of Pravega, how it was engineered to meet the challenges of event processing and logging in highly distributed environments, how automatic and elastic scaling was designed in, and how it fits into a broader microservices ecosystem which can meet the needs of a wide variety of use cases. - The need for sub-second response times, while meeting all corporate SLAs. - Handling market-based testing and validation of frequently changing credit policies & pricing plus the integration of credit bureau data and evaluation of credit performance. - Supporting various analytical models designed to detect fraud as well as segment services and policies for different markets, with both online and offline data analysis for continuous improvements. - Some lessons we learned along the way in building, deploying and managing these clustered applications while keeping our infrastructure footprint as small as possible. CRUD is a perfectly acceptable approach to persisting data in a monolith because a monolith has a single database that can implement ACID transactions. This allows the database to ensure consistency is maintained in the face of failure, which lets developers focus on their domain problem rather than on handling failures. However, when you move to microservices, you isolate the data in your services, and suddenly you cannot rely on ACID transactions to handle failures for you. In this presentation, I'll demonstrate what happens when microservices that use CRUD encounter failure, and show that a developer using CRUD cannot rely the technologies they build on top of to handle failure for them. I'll then demonstrate how an alternative approach to persistence - event sourcing - deals with failure, allowing the developer to once again focus on their domain problem, rather than handling failures. This will be demonstrated live using the Lagom persistence API. Reactive systems enable massive scalability and resiliency improvements over monolithic predecessors, yet teams can be reluctant to change. This can be especially true for teams in regulated industries where high security is paramount and risk aversion trumps the bleeding edge. This talk will cover key considerations for building a reactive system in a highly secure, regulated environment. It will highlight some of the guidelines from common regulatory standards (HIPAA, PCI, SOX, etc.) and describe ways to meet them in constructing a reactive system. Comparisons with transactional, monolithic architectures will also be made to help teams position reactive architecture effectively and help security teams understand the shift. Fasten your seat belt. This is a pure live coding session. Eclipse Vert.x is a toolkit to create reactive distributed and polyglot applications on the Java Virtual Machine. Vert.x is incredibly flexible - whether it's simple network utilities, sophisticated modern web applications, REST services, high volume event processing or a full-blown back-end message-bus application, Vert.x is a great fit and has demonstrated huge benefits in production. There is another domain where Vert.x shines: microservice systems. Vert.x applications are not traditional applications: they are reactive. A Vert.x application is responsive, elastic, resilient and uses asynchronous messaging saving resources and handling a huge level of concurrency. When using on a Cloud platform, your Vert.x application is generally packaged as a single Jar file. In this talk, we will demonstrate how Vert.x leverages Openshift capabilities to let you build a microservice system. Once your jar has been pushed, Vert.x takes care of most of the burden: service discovery, resilience, clustering, load-balancing, rolling updates and so on. - Justify the transition from batch-oriented big data to stream-oriented fast data. - Explain the requirements that streaming architectures must meet and the tools and techniques used to meet them. - Discuss the ways that fast data and microservice architectures are converging. It’s often said in the ES/CQRS community that frameworks are not needed because the basic operations are quite trivial. This is true, as we are going to see during this talk. However, it’s not that trivial to deal with failure, concurrency, and IO. Even less when we are building reactive systems. It turns out that functional programming offers many constructs that can help us to deal with all those aspects while staying pure and principled. We are convinced that a solid functional foundation can lay the path for better abstractions and more expressive modeling. Reactive applications are the next major evolution of the internet. However, this method of architecting systems introduces some new issues (for instance, with monitoring). Henrik Engstrom explores the traditional monitoring approach and outlines different ways to monitor asynchronous applications before offering an overview of the Lightbend monitoring tool for reactive applications. Re-framing problems changes how we see and solve them. The intersection of scientific thought and principles parallels much of what we solve as engineers of information (e.g. uncertainty, time, distribution)and need. This talk is an interdisciplinary look at complex systems and how they innately solve things like resource distribution, growth, and rebalancing. We will look at relative concepts in time and space from physics, ensemble forecasting from weather prediction, systems theory, the butterfly effect, viruses, natural feedback loops, self-regulation, evolution, and adaptation from biology. Can we leverage these principles, behaviors, and strategies to design intelligent systems at scale? Why is information technology so far behind scientific technology in innovation and functionality? Can seeing things differently help speed innovation? Streaming data holds the key to changing trends and actions. It requires an elastic, message-based architecture that adjusts to data and processing demands so as to allow demanding machine learning methods to continuously update their models and hence their predictions. This also allows ensemble approaches that allow multiple machine learning methods to cooperate efficiently. We outline and demonstrate various machine learning methods including statistical and neural network approaches and their incorporation into a streaming based architecture. Code available on GitHub. In this session, Jon Harkness, Principal Engineer at Starbucks will share his journey developing a distributed system of global scale. Architecture: What was right for us? Demystifying the buzzwords; monoliths, microservices, serverless-paas, and streaming. Operations: Embracing dynamic environments, declarative configuration, and defining devops. Delivery: Scalable development processes, the continuous-integration pipelines, and a cultural shift. This is a tale of success, mistakes, consequences and lessons learned, which you can use towards your own distributed system adventure. With today’s growth in web traffic, sticking with legacy technologies and monolithic architectures is no longer an option. Verizonwireless.com, with 2.4B interactions per year and growing, moved to Reactive architecture based commerce platform to remain available and responsive despite the bursty nature of heavy retail traffic. This is particularly true to support new product launches, such as the IPhone or handle sales rushes during Black Friday. A natural aversion to risk and experimentation, when an existing solution is perceived to be working. The need to understand and educate developers, operations and management on a completely different paradigm for architecting systems and writing code. In this session Keyur and Saurabh will talk about the key drivers leading to Verizon wireless dotcom move to Reactive technologies using Play and Akka. They will discuss how these new technologies were introduced in Verizon Wireless, including lessons learned along their implementation journey. Senior Director of Technology at SapientRazorfish. Leads cloud native commerce practice for SapientRazorfish. Passionate technologist, with deep expertise in cloud native commerce solutions for several Fortune 500 companies. Enabling business agility through inception and delivery of low-code platforms Cognition, Knowledge Engineering, machine learning, and semantic ontology modeling. | Background in applied mathematics, operations research, business processes, AI, and Data Science. Today’s cellular wireless networks are ubiquitous, massive, and complex. Multi-dimensional optimization of a deployed network has largely been a manual and expensive process, but it is increasingly necessary in order to achieve the best possible user experiences and network efficiencies. Emerging SON (Self Organizing Network) concepts are being promulgated by network operators as a way to improve network performance automatically while simultaneously reducing the cost. At AirHop we have designed a platform and a number of optimization algorithms collectively called eSON. The platform tagline is “massively scalable, flexible deployment of SON algorithms for wireless networks.” This talk focuses on how we use the Akka toolkit as the basis for the eSON platform. I describe how Akka is an excellent choice for implementing the eSON architecture, and what features of Akka we are leveraging to achieve our goals, including modules in the Akka toolkit such as Akka Cluster, Akka HTTP, Akka Distributed Data, and Akka Streams. To integrate legacy systems by streaming updated Dimensional models in near real-time in a schema agnostic fashion. With JDK9 adding Reactive Streams (http://www.reactive-streams.org/) as java.util.concurrent.Flow; with more developers having access to asynchronous APIs such as CompletionStage/CompletableFuture; the prospect of having an Async JDBC standard; and with new tools such as VarHandles—how will this affect how we write code on the JVM?When are the different techniques applicable? How does one test asynchronous code on the JVM? How do I know my program is correct? Join this panel-style session to find out more! Viktor Klang is a problem solver, software developer, prolific contributor to the Akka project, Akka Tech Lead Emeritus, co-founding member of the Reactive Streams Special Interest Group, and contributor to the Scala Standard Library's «Future & Promise». Over the past 3-4 years, IBM has partnered and invested in helping its clients marshal their valuable data and then to use Data Science to build insights and models that can create business value. The market is shifting to operationalizing these Data Science investments into production applications. The demands created by the vast volume and the blinding velocity of data can only be addressed via the reactive principles. IBM and Lightbend are working with clients who are ready to make strategic investments in Cognitive applications using reactive. ING is using Apache Flink for creating streaming analytics ('fast data') solutions. We created a platform with Flink, Kafka and Cassandra that offers high-throughput and low-latency, ideally suited for complex and demanding use cases in the international bank such as customer notifications and fraud detection. These use cases require fast data processing and a business rules engine and/or machine learning evaluation system. Integrating these components together in an always-on, distributed architecture can be challenging. In this talk, I'll start with a brief overview of Apache Flink. You'll learn the benefits of Flink, you'll see a benchmark comparison of Flink with other open source streaming solutions (Spark, Samza, Storm, Apex) and learn about the pros and cons of each framework. After the PowerPoint slides, I'll continue with a deep dive and lessons learned from experiences in a production environment. Jan will talk about architecture and design decisions needed to build resilient systems, as a step-by-step guide that you can apply to your current system to discover its critical areas; then to reason about what happens in those critical areas when the inevitable faults start to pile in. Jan will show the different types of failures and the different ways of dealing with them. The tips and code in Jan's talk will cover multi-AZ, multi-region Scala/Akka systems in AWS that rely heavily on Kafka, RDS, S3, & Dynamo. Come to Jan's talk if you are wondering how to systematically reason about and improve your system's resilience; to understand how it is going to behave under failure; how to verify that the system behaves as expected before it hits production. To keep things lively, Jan will throw in a few horror stories form production! Spring 5 is almost here! One of the most exciting introductions in this release is support for reactive programming, building on the Pivotal Reactor project to support message-driven, elastic, resilient and responsive services. Spring 5 integrates an MVC-like component model adapted to support reactive processing and a new type of web endpoint, functional reactive endpoints. In this talk, we'll look at the net-new Netty-based web runtime, how existing Servlet code can run on the new world, and how to integrate it with existing Spring-stack technologies. CAUTION: If you are responsible for an Akka system deployed to production, attending this talk may cause intense moments of self-doubt, stress and possibly panic. Akka is a toolkit for building highly concurrent and distributed applications on the JVM using the actor model. Given the prevalence of frameworks over toolkits and models in the industry, it is easy to forget that the former will not prevent you from using them in any way you please including ways that are possibly suboptimal or perhaps even harmful. In this talk, you'll learn about a few of the most common anti-patterns related to Akka usage. You'll also get to know about alternative and more appropriate solutions to use for each one of those anti-patterns. It should be noted that these suboptimal uses of Akka are not merely theoretical ponderings but real and recurring observations that the speaker made during a range. Netflix runs thousands of microservices and thousands of backend data store nodes on Amazon's Web Services (AWS) instances to serve and store data for more than 100M users. Hence, we are not always aware of the performance implications that bundled microservices may generate on our backend systems. Hence, we architected and developed NDBench. Netflix Data Benchmark (NDBench) is a pluggable cloud-enabled benchmarking tool that can be used across any NoSQL or SQL data store system. NDBench aids in simulating the performance benchmark by mimicking several production use cases. NDBench allows for dynamically changing the benchmark configurations while a test is running, hence perform tests along with our production microservices. NDBench is well integrated with common platform cloud services such as dynamic configuration management, load balancing services, and metrics. NDBench allows us to run infinite horizon tests to identify potential memory leaks from long running processes or garbage collection issues, or to test long running maintenance jobs. In this talk, we will cover our NDBench deployment, and use cases. Note: This will talk will be given along with Vinay Chella. The explosive growth of mobile devices, sensors and IoT implementations, makes it critical that developers and practitioners understand how to securely and efficiently collect data from and manage the myriad of sensors. If you answer "no" to any the following questions then you need to attend this session. - Are you comfortable without securing data being collected from a device and/or sensor? - You are comfortable telling your customer you guarantee the delivery of the data? - Have you 100% network availability 24/7 from your devices or sensors to your analysis center? - Your business rules for what or how data is collected on a device or sensor will never change after it is deployed? This session is a unique opportunity to hear from IoT and Streaming Data implementation expert Andrew Psaltis, as he explains the top 6 questions you need to answer about IoT implementations that will make you more effective as a developer and practitioner. Service Discovery is an important aspect of microservices, particularly when using containers on elastic infrastructure. Most popular approaches for service discovery require a stand-alone fault tolerant cluster like Consul, Zookeeper or etcd. If you are already using Akka as a clustering platform for your services, there is an interesting alternative available for Service Discovery. CRDTs, or Conflict-free Replicated Data Types are a relatively new primitive in distributed systems. CRDTs allows concurrent updates without coordination and has provisions for tuning consistency levels. 'Distributed Data' extension natively supports CRDTs on top of Akka-Cluster. We used CRDTs in Akka to build the service registration and discovery mechanism for TMT's (Thirty Meter Telescope) software platform. TMT will be world's largest optical telescope once operational. The ongoing software work is open source and available on Github. We would like to share the details of our implementation and also compare it existing approaches. Working in Scala/Akka for more than 5 years. Currently helping the Thirty Meter Telescope project with operational software using Scala/Akka. Interest in distributed systems. Akka Streams and Akka HTTP are highly efficient and highly resilient libraries. Being a library, however, still means building the infrastructure and scaffolding around Akka to create a fully resilient and manageable application. This session discusses the philosophies applied to Akka Streams to create an end-to-end resilient and manageable application. We address infrastructure components enabling and productionalizing the Akka application, including request/response pipelines, circuit-breaker, process lifecycle management, and integration points with your current production infrastructure. We also discuss principles we used to extract the most out of Akka creating a truly low-latency, high throughput application you can trust in your production environment. Last but not least, these components are conveniently available at your fingertips, all in open source, allowing you to go to production easier and faster than ever. Building distributed Java applications is markedly different from the traditional monolithic design. In this new modular landscape, we face many challenges: parallelism, asynchronous boundaries, state management, identity management and consistency deficiencies, to name a few. Of all these problems, consistency, state management, and identity management can be particularly challenging. 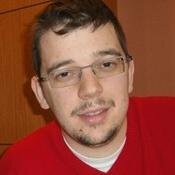 In this session, we will discuss the ins and outs of dealing with modular JVM based application consistency, distributed state, and identity coherency with techniques like idempotency, eventual and casual consistency, dealing with CAP theorem, single source of truth and distributed domain design. There is a huge demand for responsive, real-time mobile and web experiences, but current architectural patterns do not easily accommodate applications that respond to events in real time. Common solutions using message queues or HTTP long-polling quickly lead to resiliency, scalability, and development velocity challenges, due to the need to manage queues and develop complex workarounds for problems like thundering herds and dropped events. By adopting a protocol providing Reactive Streams semantics over the network boundary, we have been able to solve many of these problems at the communication layer. Using streams, data can be pushed to clients when it changes instead of having to long poll, while backpressure obviates the need for queues throughout the system. This makes it possible to create rich application experiences and support use-cases such as mobile-to-mobile communication and large file transfers that would be difficult or cost-prohibitive with traditional networking. So you're going to build a microservice system. And this is not just any system. This system is going to process a ton of traffic, and it cannot go down - no excuses! This session covers techniques and tools that you can use to scale individual microservices up or down as traffic rates change. We also look at hardening your system eliminating single points of failure and automatically recovering when various outages occur. The cornerstone of this approach is Event Sourcing and CQRS (Command Query Responsibility Segregation). ES and CQRS provide the platform for both scale and resilience. We will see how this is done using Java, the Akka toolkit, the Play framework, and the Lagom microservice framework. A newly assembled team. No reactive programming experience. A deadline that cannot be missed. In this session, we will describe the experience of learning reactive programming and using it to build an API for a credit card fulfillment process. Tight timelines and dependent system constraints increased the challenge of implementation. The team chose to implement the solution with Akka, Lagom and persistence using PostgreSQL. We will discuss the patterns and techniques leveraged including the promise pattern, Akka Clustering, Java Futures, and Error Handling / State Management. We will also demonstrate the challenges faced with upstream/downstream TPS constraint and resolution provided with Scheduler & Config driven Throttling Mechanism. We will review the options considered, learnings through this journey and what lies ahead for the service. Strange things can happen when trying to manage hundreds of thousands of always-on devices. From thundering herds to emergent behavior, we at eero have experienced failure in many different forms. Throughout all of this, we've developed strategies for preventing predictable devices from behaving in unpredictable ways. This talk will cover the challenges of managing a fleet of IoT devices, interesting ways in which we've failed, and how we've applied reactive principles to build a more robust and resilient service. Head of Cloud Platform, eero, Inc.
John manages the Cloud Platform team at eero. A recent convert to Scala, he has found a passion in creating highly scalable and performant distributed IoT systems utilizing the Actor Model.